If you know me, you know I LOVE the theater! 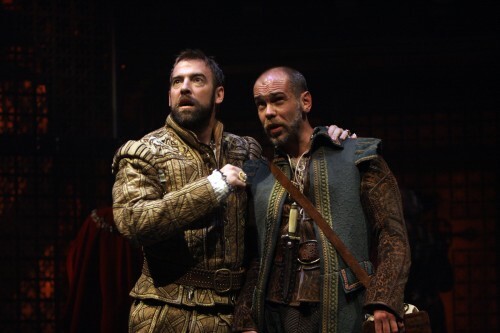 So last Sunday, I went to the Folger to see Shakespeare’s history play, Henry VIII. (I got a reduced price ticket last Friday.) Since it was a weekend matinee, there were all ages present, including a little guy who’d come with his grandfather. The set was interesting and unusual (with a large overhanging piece in the shape of a crown). The costumes were elaborate, beautiful, and period-accurate (unlike in the recent production of Hamlet that I saw at the Folger). The music was used well- not too loud or overly dramatic. The actors were quite strong and spoke some VERY tough/long lines with ease. 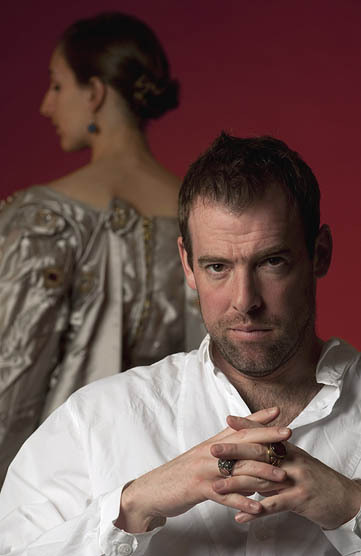 Cardinal Wolsey (Anthony Cochrane) and Queen Katherine (Naomi Jacobsen) stand out in my mind. Using the fool Will Sommers (Louis Butelli), who served as narrator and participant, was a good choice. It got the audience smiling and feeling less intimidated by the material. I also liked how the actors would go into the aisles and up on the balcony to do some scenes. In the first act, the language (dense; winding) took time to get accustomed to. (No, this isn’t like the modernized dialogue you hear on the Showtime drama The Tudors!) The first act was not very exciting or emotional; the second act was much better. I felt for Katherine (portrayed as a very bright, strong woman) when she was in court arguing against the divorce. Being Spanish, Katherine was seen as a “stranger” in England when she was married off to Henry. Over time, many people grew to respect and admired her, because she endured many hardships with great dignity. Henry (Ian Merrill Peakes) fell in love with Anne (Karen Peakes), one of Katherine’s ladies in waiting, very soon after she arrived at court. He had a necklace set with many jewels sent to Anne- something NOT to be taken lightly coming from a king. I liked Anne Boleyn’s little (foreshadowing) speech about “not wanting to be a queen for all the world.” I wanted to hear more from Anne. As for Henry, he came off as a level-headed solid leader who had crisis of conscience. Henry made the mistake of giving the cunning Wolsey (who secretly promoted French interets) too much money and power. Though he wanted Anne, Henry regretted divorcing his loyal wife after 20 years. He desperately wanted a male heir. The strongest scene came at the end- after the birth of Henry and Anne’s daughter, Elizabeth. There are fine speeches about how prosperous and important her time will be (foreshadowing the “golden age” of England). Henry is full of fatherly pride and hope at the end. Fun! I love the theatre, but I definitely don’t go often enough. The last play we say was “A Midsummer Night’s Dream” last May, and it was FANTASTIC. It was a musical version set in New Orleans, which I was dubious about, but instead of being corny it was moving and dramatic–almost everything was spoken, but for example the character of Puck carried around a saxophone and would sometimes play a haunting bit of jazz. There was a jazz quartet that sometimes played in the background, and every now and then the fairies would sing. I can’t wait to go again–it’s such an all encompassing experience!